Elaine is a Consultant Communications adviser and trainer after a long career at the BBC, as producer and editor of news and current affairs programmes on radio and television. The last thirteen years of her time at the BBC were spent editing the weekly long-running World Service show, “Politics UK”. Her years working in Westminster, making daily political programmes and documentaries for radio and television provided her with understanding and knowledge of the British political scene, and a great many friends and contacts in politics, business, and in academic and cultural fields. Her experience in delivering strong performances from professional presenters and from contributors has given her invaluable expertise in helping others to develop skill in performing confidently in public and in the media. 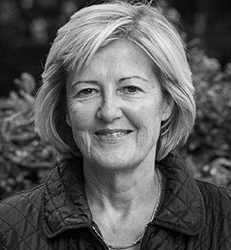 Before working at Westminster, Elaine made documentaries, with BBC legend Michael Cockerell; for the Money Programme; for the BBC 2 series, Family Matters, and for other news and current affairs shows. She worked for BBC News and for BBC2’s Newsnight.